Ends Saturday 4th May 2019 when our online store closes – we will reopen after Eid -in shaa Allah! Our books represent the Diversity of the Ummah. They feature characters from Different Backgrounds with Different Abilities. Check Out Our FREE Printable Activities! "Bought this for my 3-yr old nephew and he loves it....simple enough that he can read along with me. Made with good quality materials too so hard wearing in little hands." "Ma sha Allah I hope more of these educational Islamic books will be on offer in future!" "Really good book to read with kids, and the illustrations are very great too"
"My kids are obsessed with the book. Especially because it has the rhyme of row, row, row your boat. Even my two year old is singing it!" "Excellent for young children to sing along to and learn at the same time. It has a very catchy tune and you'll find your children and even yourself humming away!! I would highly recommend this book and it also makes a perfect Eid gift." "Kids loved the book, solid book that won't get damaged too." "My boys enjoyed the story and the song. They joined in and asked for the book." 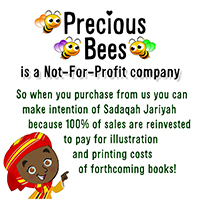 "This is a simple book to start introducing children to Islam, beautifully illustrated. cute designs." "MashaAllah, my boys [aged 6 and 3] can't get enough of this book! You’ve done a lovely job with the book. It’s very catchy and engaging - easy for the kids to remember. My two are constantly humming it." "That was a nice story you read to us!" "I love the way this book repeats wordings to make it stand out. 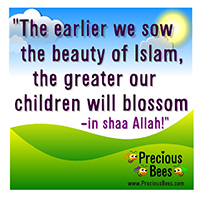 simple books to start to make children learn about Islam." 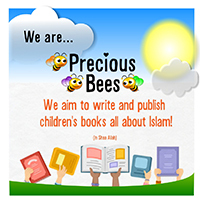 "Very good and interesting book for children to gain knowledge about Islam." "I just wanted to let you know your book 'Five Pillars Just To Please Allah' is amazing. My 6-year-old daughter loves it. 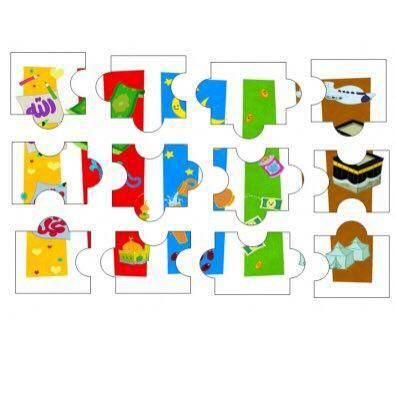 It's very eye-catching for kids as it's colourful and the characters are very cute. She really enjoys reading it again and again. JazakAllah Kher." "This books is full of beautiful, bright colours and pictures. Hard wearing pages which makes the book suitable even for my 2yr old. This quiz at the end is simple yet very creative. Lastly, my boys love the fact that the book is personalised with their name." "Sis may Allah SWT give you the ability to produce more books like this. Subhan Allah it was beautiful." "Amelia  loves Five Pillars! It's her bedtime book! She calls it Allahu!" "My 6 month old daughter absolutely loved this book and still loves it now she's 1 years old. Really colourful and she loves turning the flaps at the back." "This is a great follow on book from Five Pillars of Islam. Once again, the colours of the book and the pictures are engaging and my children love this book as much as Five Pillars. I recommend both books in the 'just to please Allah' range." "I love the colours of the book. I love the flaps!" "My little ones love reading this - they get to learn the five pillars through lovely rhymes and illustrations. We always have to read and read and read it again!" "The book "5 Pillars- Just to please Allah" just arrived and it's wonderful mashaAllah! We really love reading it to our daughter." 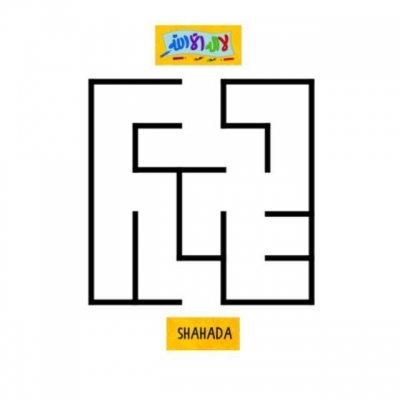 "Mash'Allah the book is very colourful and interactive." "This book is written in very simple English for children to understand (other pages l languages available too). The illustrations are very detailed and go hand in hand with the text. This is very useful when trying to explain the books’ concepts to younger children. One of the most amazing things however, is that you can go deeper into the text and use that as a using point. For example : "read read read Qur'an just to please Allah... 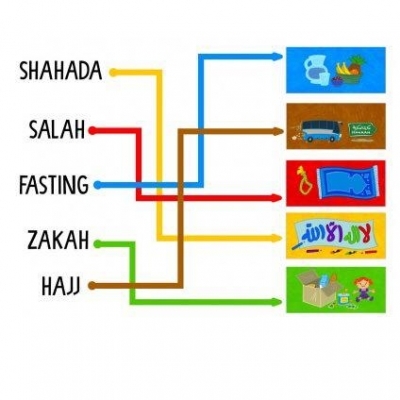 If you understand it your home will be Jannah." I was able to talk to my older kids about tafsir, using this as an introduction. They also understood why it was important. The colours are vibrant and this adds to the whole charm of the book. I would definitely recommend it." "My kids are completely in love with this book! My almost 2-year-old has started to pick up the words Mashallah! I love that it says " to please Allah" as that's something I try to teach my kids...do things to please Allah, not just for reward. So happy I bought a copy!" "MashaAllah, congratulations on your book. I pray you have more successful books in the future. A lovely book that gets to explain a simple and beautiful aspect of Islam." I had to read the book over and over again. I got tired and just played the video on YouTube ? 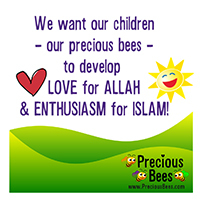 "A fantastic book to get the little ones to start learning about the five pillars of Islam. Both my children love the books and have read it so many times and still not bored of it. The book is colourful and the lift the flap quiz at the end of the book is brilliant." Follow Us On Our MissionTo Encourage LOVE For ALLAH & ENTHUSIASM For ISLAM!